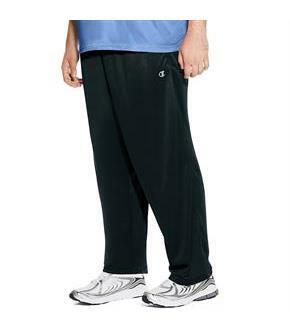 Size: 2XT, Color: Black (Grey) is currently out of stock! Size: 3XT, Color: Black (Grey) is currently out of stock! Size: 4XL, Color: Black (Grey) is currently out of stock! Size: 4XT, Color: Black (Grey) is currently out of stock! Size: 6XL, Color: Black (Grey) is currently out of stock! Designed for running or training, our Performance Open Bottom Pants manage moisture to keep you cooler. 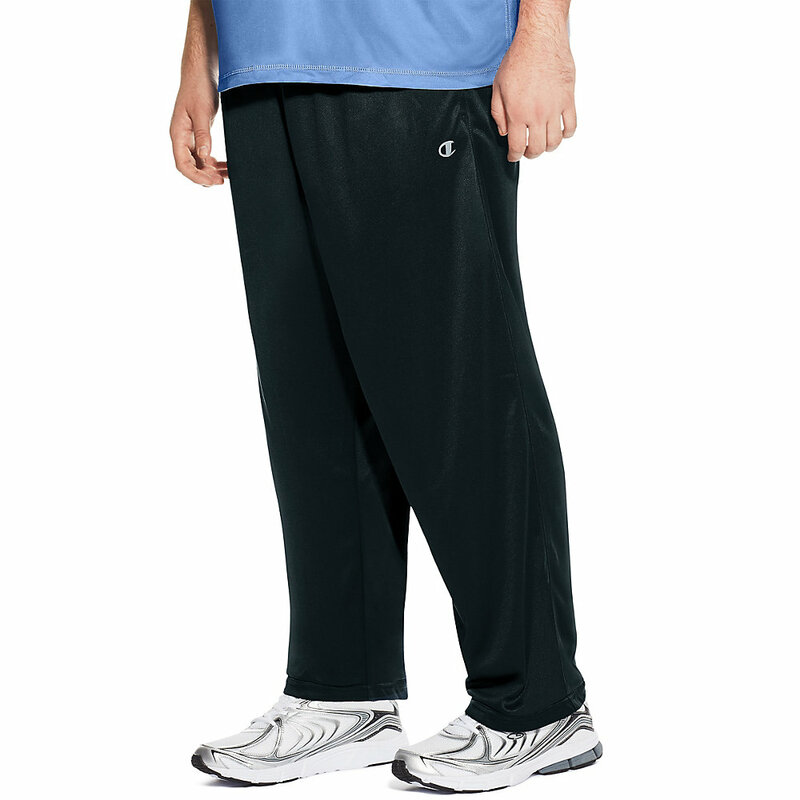 Available in Big and Tall sizes up to 6XL.Feel-good polyester fabric with Champion Vapor technology quickly evaporates moisture and dries faster.Generous athletic fit for free-moving ease.Double stitch elastic waistband with internal drawcord adjusts the fit.Contrast piping accents side leg.Deeper onseam pockets to stow essentials.Big inseam: 31-inches; Tall inseam: 36-inches.C logo at left thigh.